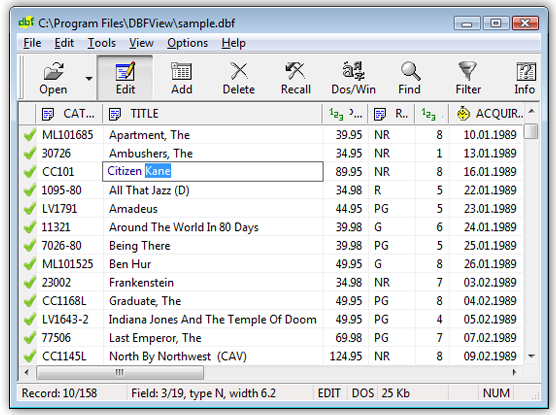 Convertir Csv En Dbf : DBF Viewer, DBF Editor, DBF Convertor Convertir Csv En Dbf DBFView View, edit and print your dbf files! 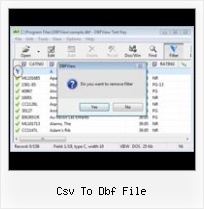 Convert Dbk To Csv : DBF Viewer, DBF Editor, DBF Convertor : All Convert Dbk To Csv Dbf File Viewer - Export dbf, import dbf database, convert dbf files! Allows you to convert your dbf files to csv. The DBF to CSV program allows you to convert your dbf files to csv (comma-separated value) format. Generally, you can use any delimiter, such as TAB, semicolon etc.